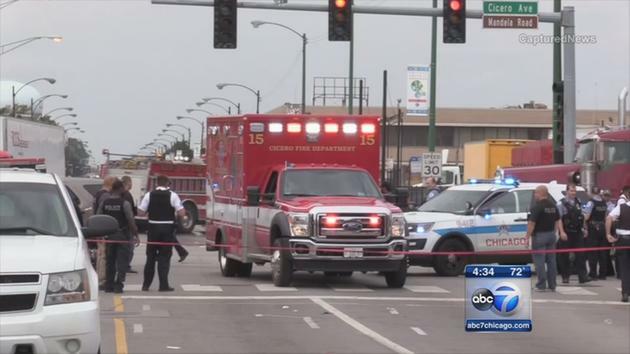 After being hospitalized, a police officer in Chicago afraid to use gun while being beaten. She was afraid of the repercussions. Check out the video for more details. On Wednesday morning, the officer was responding to a car accident on the city’s West Side. The man who was encountered at the accident was violent and under the influence of drugs. There were three officers injured during the incident. One of them was beaten severely and told Supt. Eddie Johnson that she was fearful to use her gun, due to the backlash it could result in. “It is terrible. It is total disregard for law enforcement. They put their lives forward every day for us and to see somebody do this, to pummel the police officer is terrible. It is a terrible thing,” nearby business owner Louie Rainone said when questioned about the incident. ABC7 of Chicago reached out to the Fraternal Order of Police but as of yet there has been no comment made by them.